The Pillowman — The Life and Times of a Young Professional in San Antonio. Bored with the same old dinner and movie date night? Try something different! 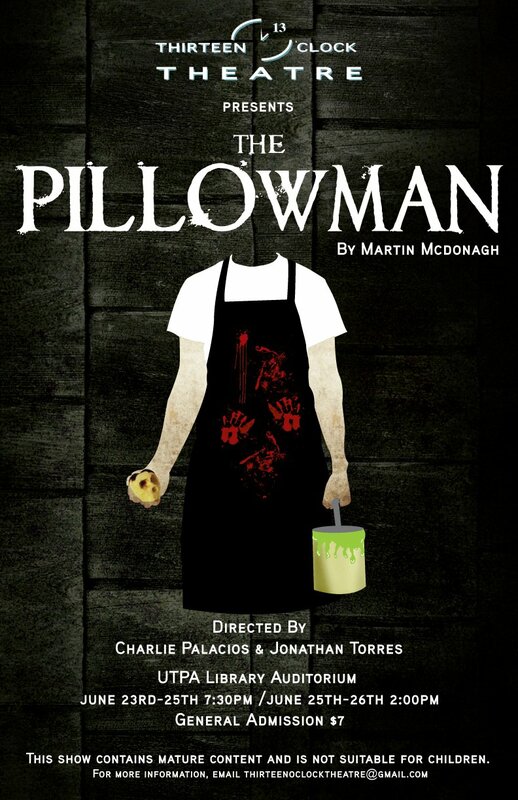 Check out Thirteen O'Clock Theatre's presentation of The Pillowman at UTPA. The show opens on Thursday and I've heard the seating is very limited! This show is most definitely not family friendly so leave the kids with a sitter.